Another successful event for Canada held in Mississauga, ON on February 21, 2015. Hosted by Evolution Martial Arts Fitness Academy, BEST OF THE BEST included a 4 man tournament for the Provincial 60 KG ONTARIO MUAY THAI CHAMPIONSHIP. 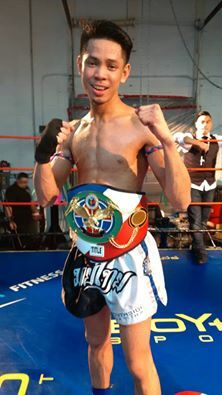 Congratulations to David CANDELARIA from Southside Muay Thai (Toronto, ON) our new champion!